How do I buy bitcoin using LibertyX? Bitcoin is “digital cash”, an innovative new currency designed for the Internet. With bitcoin you can send money peer-to-peer to anyone, anywhere in the world for pennies. For more information and tutorials on bitcoin check out WeUseCoins. Are there any fees for using LibertyX? LibertyX stores charge a convenience fee that is deducted from your cash payment. Fees vary by store and can be viewed by clicking on a specific location in the LibertyX store locator. We deduct miner fees from the bitcoin sent. There are no other fees. The exchange rate is computed at the time the transaction is completed. You should not be charged any additional fees (processing fee or sales tax) above what is listed. Please contact support before paying any other fees as they cannot be refunded. We aim to always be the lowest cost cash-to-bitcoin option. What bitcoin price do you sell at? We currently use an index of bitcoin exchanges (including Coinbase, Bitfinex, Bitstamp among others) to calculate the "market rate". When comparing other services to ours, you should factor in all fees that may not be included in the exchange rate (purchasing fees, wire transfer fees and time). We believe in simplicity and convenience. With LibertyX, there are no transfer fees and you can get your bitcoin as quickly as you can get to your neighborhood store. No! - There is no sales tax or additional fees above what is quoted on the store location page. If a store attempts to charge sales tax or requests any other fee above what is quoted on the store location page, please let us know at [email protected] and we will look into your issue right away. How do LibertyX retail stores work? Find a location near you on our mobile app/website. Login to / create your LibertyX account and tell us where to send the bitcoin. Follow the store specific instructions to complete the payment. Receive bitcoin instantly as soon as payment is completed! You are required to redeem PINs and/or provide a bitcoin address within 2 business days (Mon-Fri) of purchase. Your payment will not expire during this time. As soon as you make a LibertyX payment and provide your bitcoin address, we immediately send you the bitcoin. The transaction will show up on the blockchain right away. We’ve had customers complete the whole process in minutes (even faster when using the LibertyX mobile app). What is the trailblazer promotion? It is our way of thanking community members for helping improve our retail store experience. If you are the first person to make a LibertyX purchase at any of our stores, you will receive an extra $5 in bitcoin. Simply email us with the name and address of the store location you purchased from. There is no limit to how many stores you can trailblaze! Check the location map to see if a store location is eligible for the trailblazer promotion. I went to one of your stores and they said they don't sell LibertyX. First, thanks for being one of the trailblazers! All retail stores listed have been notified of our new LibertyX bitcoin service. However as you may be the first person to request LibertyX from a certain employee, they may simply say they don’t sell LibertyX PINs/Gift Cards. In these cases, please follow the troubleshooting instructions listed on an individual store location page (this resolves almost all cases). If there is still an issue, please fill out our "Review your store experience" form located on every store page, email [email protected], or call us at (800) 511-8940. We appreicate your patience in streamling our store experience and will send you a free bitcoin trailblazer reward for your feedback. There is also a maximum of 4 PINs you can redeem in 24 hours if you are purchasing from a PIN store. Many of you have requested that we increase daily purchase limits; we are working hard to increase them. We ask for basic ID verification information (e.g. the information off your drivers license). This includes name, address, and date of birth. We check these against public records to make sure you are a real person. If we are unable to confirm your identity you have the option of submitting a scan of your license or other verification document. We treat your information very carefully. All information is encrypted, and then stored on encrypted hard disks. All communication happens through SSL. We do not store customer funds. 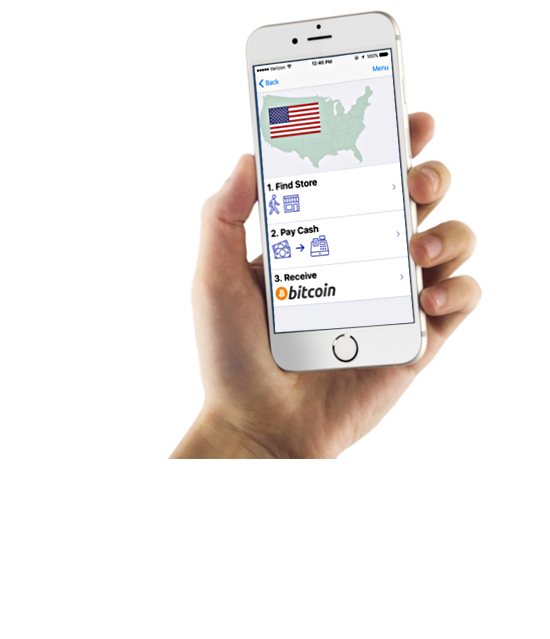 Any bitcoin you purchase via LibertyX is sent to your wallet of choice. We believe in keeping bitcoin as decentralized as possible and keeping users in control. We are always looking for talented individuals passionate about bitcoin and fintech. Please send your LinkedIn profile and desired role to [email protected]. We’re currently looking specifically for full-stack developers. How can I sell LibertyX bitcoin in my store? First off, thanks for your interest! Please fill out the template form here and we’ll get back to you with more details on getting set up. We have received many requests to become part of the LibertyX network and will onboard new stores in order of request received. Want to integrate with LibertyX? Download our new iOS or Android app below to get started.